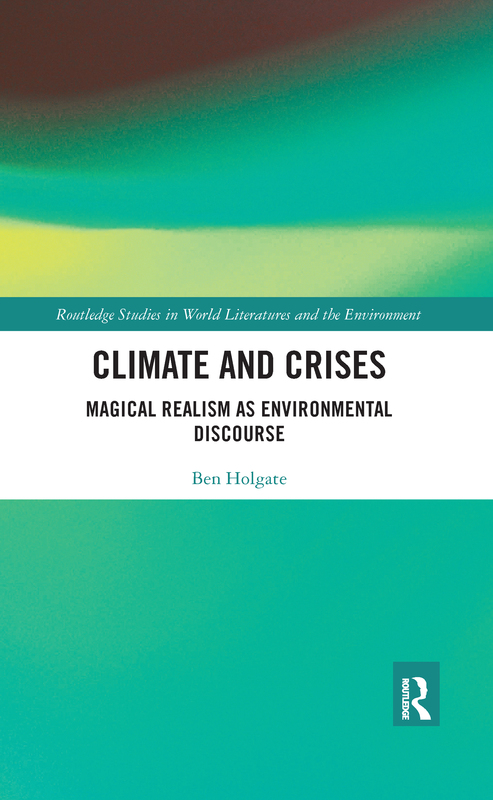 Climate and Crises: Magical Realism as Environmental Discourse makes a dual intervention in both world literature and ecocriticism by examining magical realism as an international style of writing that has long-standing links with environmental literature. The book argues that, in the era of climate change when humans are facing the prospect of species extinction, new ideas and new forms of expression are required to address what the novelist Amitav Gosh calls a "crisis of imagination." Magical realism enables writers to portray alternative intellectual paradigms, ontologies and epistemologies that typically contest the scientific rationalism derived from the European Enlightenment, and the exploitation of natural resources associated with both capitalism and imperialism. Climate and Crises explores the overlaps between magical realism and environmental literature, including their respective transgressive natures that dismantle binaries (such as human and non-human), a shared biocentric perspective that focuses on the inter-connectedness of all things in the universe, and, frequently, a critique of postcolonial legacies in formerly colonised territories. The book also challenges conventional conceptions of magical realism, arguing they are often influenced by a geographic bias in the construction of the orthodox global canon, and instead examines contemporary fiction from Asia (including China) and Australasia, two regions that have been largely neglected by scholarship of the narrative mode. As a result, the monograph modifies and expands our ideas of what magical realist fiction is.